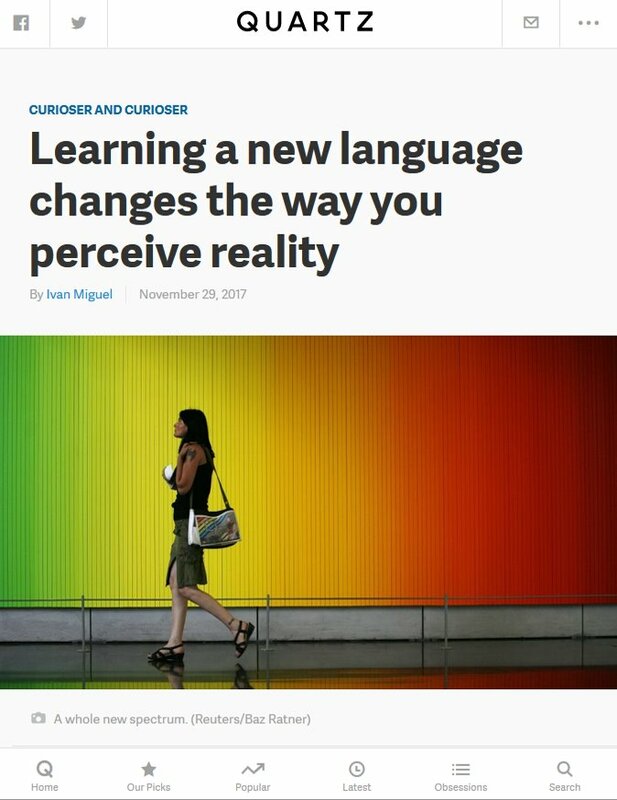 Following a conversation at a “Creative Mornings” event, I was commissioned to write an article of 800+ words about how meaningful language is and the creative exercise that learning a language hides. Being a topic could initially not sound appealing to everyone, it was spiced up with my own personal experience and some notes of humor. 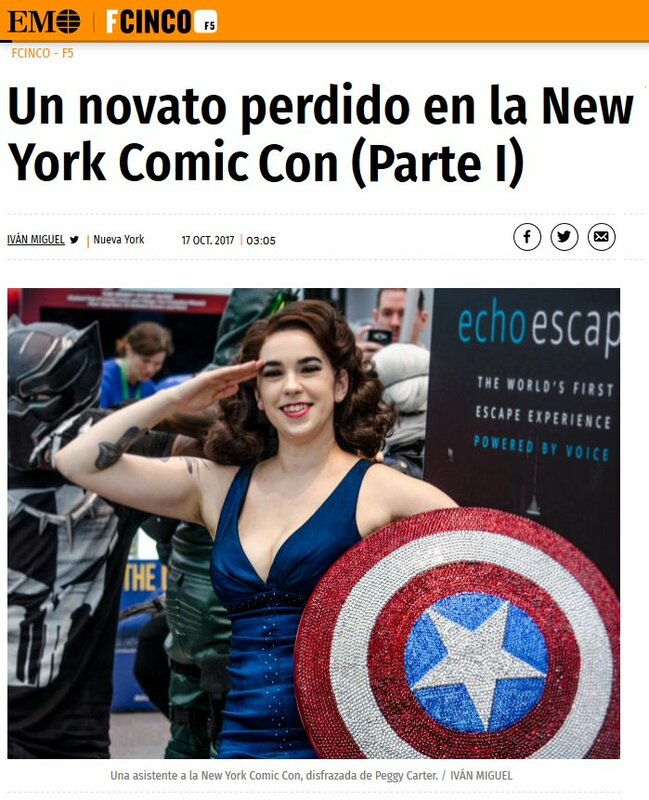 After years of wishing for it, El Mundo, the second most read newspaper in Spain, gave me the opportunity to access to the New York Comic Con and enjoy all the events, artist, exhibitions and mayhem I was barely prepared for. The three days exhibition was so packed of experiences I finally wrote a piece twice the length initially was in everybody’s mind. 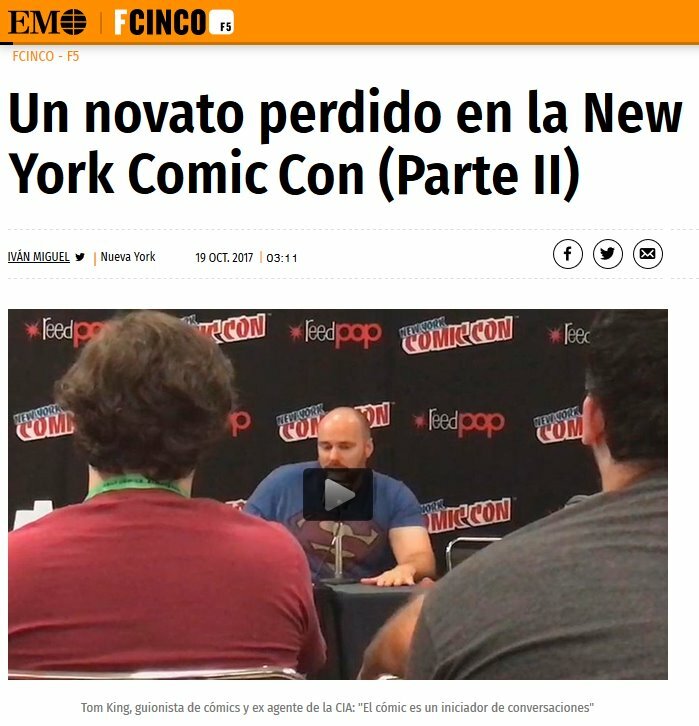 The solution was splitting in two for the on-line site the chronicles of me going from rookie to experimented savvy in the arena of American Comic Cons while relating my encounters with some of my favorite artists.